I am SO excited for these: Colorful Pennant Banners – I’m almost finished with them! I’m making them for a friend who is getting married on August 20th – an amazing circus themed wedding, and she chose such fun patterns for the banner. 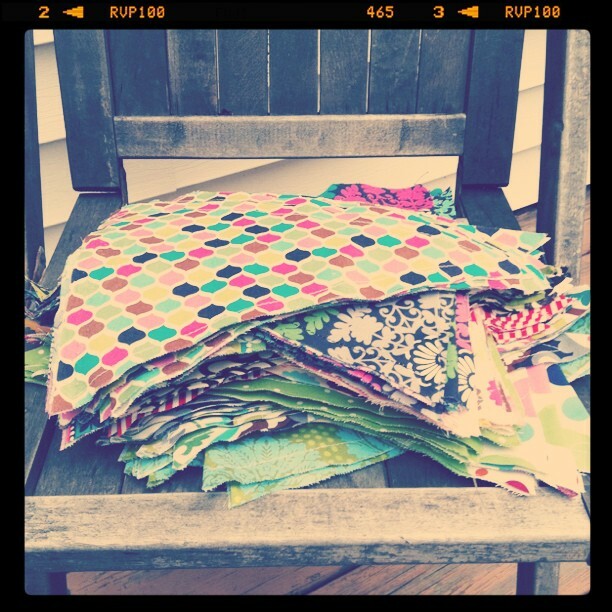 224 triangles – cut, sewn and cleaned up! Now I just have to attach them to the binding tape we are using and I’ll be done. Can’t wait to show you the finished product. I’ll have a DIY tutorial too once I get all the kinks worked out! Working On: Rustic Wedding Invites – Finally Done!